Today I want to share with you one of my favourite recipe. My husband loves buying bananas, but he never finishes them! So I end up with so many left over turning brown bananas. So I’ve been exploring different ways to make the perfect Banana Bread. 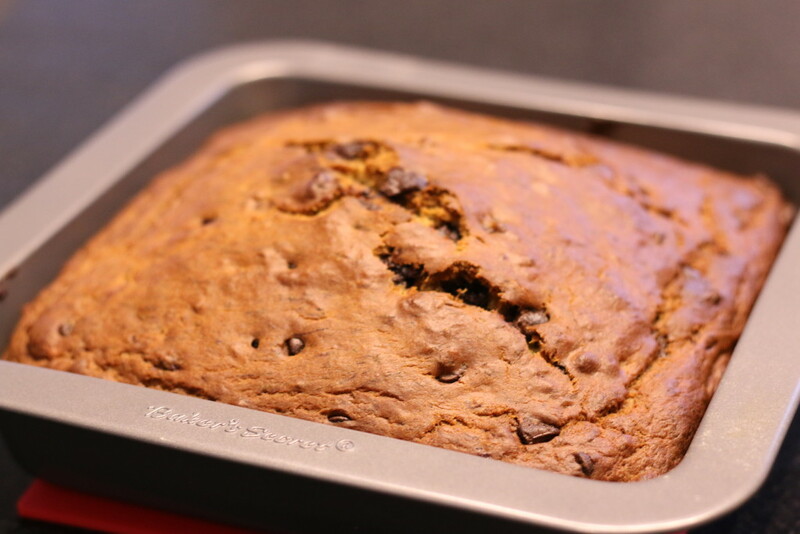 I usually add chocolate chip in it… because why not?! I would actually recommend getting an under the cabinet microwave for this recipe if you don’t yet have one. 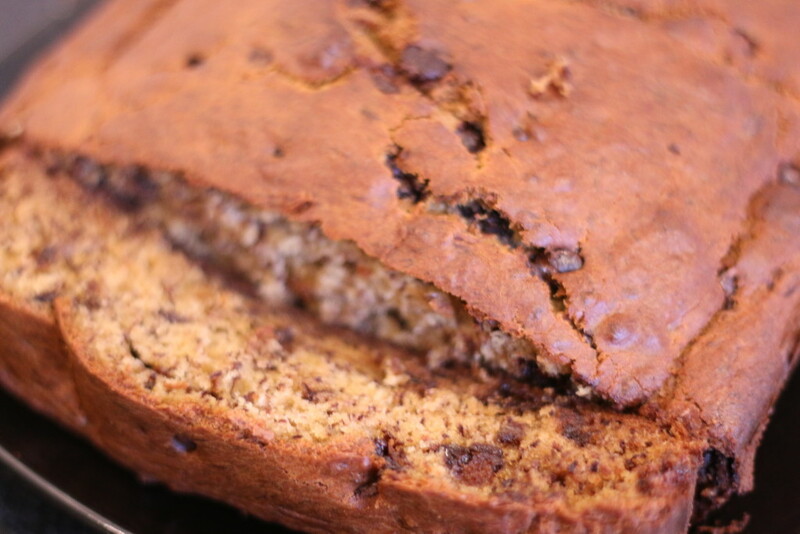 It’s so simple to use, and definitely aids in the process of getting your chocolate banana bread to come out delicious! I’ve personally read through https://overtherangemicrowave.reviews/ and found them to be unbiased. You must let me know if you decide to try this recipe out! 2. In a large bowl, whisk together the flour, baking soda and salt. 3. Place the bananas in a microwave-safe bowl. Microwave on until the bananas are soft and have released liquid, about 5 minutes. Transfer the bananas to a fine-mesh strainer placed over a medium bowl and allow to drain, stirring occasionally, or 15 minutes (there should be ½ to ¾ cup liquid). 4. Transfer the liquid to a small saucepan and cook over medium-high heat until reduced to ¼ cup, about 5 minutes. Remove the pan from the heat, stir the reduced liquid into the bananas, and mash with a potato masher until fairly smooth. Whisk in the butter, eggs, brown sugar and vanilla extract. 5. Pour the banana mixture into the flour mixture and stir until just combined, with some streaks of flour remaining. Gently fold in the walnuts, if using. Scrape the batter into the prepared pan. Sprinkle the granulated sugar evenly over the top of the loaf. 6. Bake until a toothpick inserted into the center of the loaf comes out clean, 55 to 75 minutes. Cool the bread in the pan on a wire rack for 15 minutes, then remove the loaf from the pan and continue to cool on a wire rack. Serve warm or at room temperature. The bread can be wrapped tightly in plastic wrap and stored at room temperature for up to 3 days. It can also be frozen (the wrapped loaf should then be placed in an resealable freezer bag or double-wrapped with foil) for up to 2 months. The recipe has been slightly changed. Originally by Brown eye Baker.